Much more accessible than their debut , but more in the RIO genre , this album is certainly rockier. Proof is the first track where they sound Velvet Underground pastiching Bo Diddley. Of most interest is the intervention of Fred Firth and Chris Cutler of Henry Cow (I think they had disbanded by now) who are noted down as regular members of the band. Not everything is good but this stays more accessible/listenable than all H C albums and also Univers Zero. The last track on here holds the name of the next group Honeymoon Killers. Only for confirmed RIO fanatics . Calling a band Maboul (French slang for crazy, nutty) creates certain expectations. And this album does hold up to them. The result might be called Ethnic-Noise-Chamber-Rock. This album alternates between the bizarre (A Modern Lesson) and the obscure (I Viaggi Formano La Gioventu) with the many oriental/arab sounds in some of the tracks and the classical instrumentation in others. I love the opening track for its disharmonic and contrasts between the female vocals and the instruments. 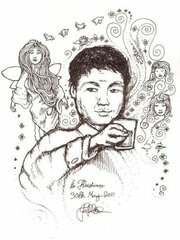 The oriental sounds here add a great flavour to the music alongside the punk in several songs and the chamber-rock in others. Inoculating Rabies is a sort of post-punk track with its noisy guitars on the one hand which sound as if they were a bit far away from the microphones and the wind instruments (bassoon and oboe) which are more in the front of the music. The combination which may seem at first to not go together is actually working quite well, as do all other weird instrumental combinations in other tracks such as Bosses De Crosses. The 23 minutes Cinema starts as an abstract piece and then by ~6:00 gets into a more formed shape and becomes a chamber rock piece, and as it develops it brings in more elements into it. The end result is an eclectic album filled with very different styles that are put together and sound (to me) very good when played alongside. If you are a fan of RIO and the weird and avant-garde forms of music, then this album is for you. This receives 4 stars from me. It is a good album, which I enjoy tremendously. Maybe not the most essential RIO record, but it is worthwhile getting it nonetheless, it will enrich your prog collection. Second and the last Aksak Mabul album is strongly different from their debut. Three years of intensive concerts under RIO flags have gone, and Aksak Maboul is very different band on this release. Besides of founding duo of Marc Hollander and Vincent Kenis, all the bunch of RIO leading artists participates on the recordings: drummer Chris Cutler and guitarist Fred Frith from Henry Cow, wind player Michel Berckmans from UZ, vocalist Catherine Jauniaux. 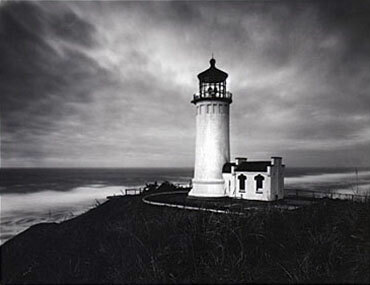 If band's debut was beautiful very acoustic, melancholic European urban folk-avant, pleasant and enjoyable, this album from very first minutes opens with dissonances, dark atmospheres and tension. Not even traces of sunny aerial sound of it's predecessor could be found - air is nervous, very noisy, instruments distorted, compositions broken by rhythms and structures. Even more - being in fact quite characteristic RIO album, with strong chamber rock influences and some free jazz moments, every composition of this album is played in different manner. From free jazz bulky songs to dark chamber rock to street-wise Argentinian tango to excellent Middle Eastern hypnotising tune to almost Iggy Pop-like punk. Such concept makes this album very eclectic, more close to collection of occasional songs, but from the other hand, every composition is very different and listener has no chance to become bored. 23+ minutes long Cinema is a culmination - complex contemporary avant composition ,minimalist by its nature, but with soloing of different instruments one after another over the basic sound. It's very difficult to compare two this great band's releases: I really love their debut as excellence of European urban folklore-based avant, but this, their second release, has its nerve, its tension and its own world of real RIO against debut's beauty. Recommended as equally good pair for debut. At least the Prog Archives show the censored cover. Look at 'Rate Your Music' - they trembled in fear of opprobrium and instead show a big 'X' instead! It's political correctness gone mad I tell ya. 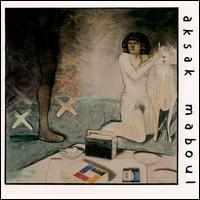 If ever the term 'Avant Prog' was suited to a band 'Aksak Maboul' are the culprits. "Un Peu De L'Âme Des Bandits" is a twisted concoction of Jazz Rock. A hugely overblown wacky chamber prog album that is superior in many ways to 'Univers Zero' and 'Art Zoyd', with their unpredictability and wide variety of instruments. 'Maboul' is very fitting as it means 'mental' in French and you won't hear a much more mental 'RIO' recording this side of Uzbekistan. Chaos reigns supreme with a whacked out Fred Frith and Chris Cutler pulling the strings along with ex "Cos" keyboardist Marc Hollander doing what he does best. Many genres are pounced upon, ravished then left for dead as they work their way through the fields like a 12 man slaughterhouse team: Middle East, Chamber and Punk are all decimated as the 'Maboul' tank rolls on. 'Cinema' is a monster 23 minute track heavy with woodwind instruments. Despite the rather cacophonous opening it definitely gains shape and form the longer it progresses and at points almost gains some semblance of a tune. '"Un Peu De L'Âme Des Bandits" is one of those annoying albums that sounds great when you're listening to it but where you find yourself unable to remember much about it afterwards. There's nothing 'hummable' which would want to make you go back and listen to it again. 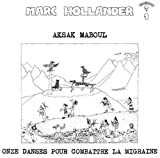 "Un Peu De L'âme Des Bandits" released in 1980 can be thought as an iconic album by a Belgian RIO legend AKSAK MABOUL. Consider this production can be quite appropriate for opposition either to pop / rock 'on the golden road' or progressive rock. 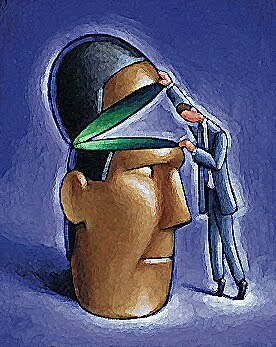 Wondering what we feel if we listen to this material for the first time without any knowledge. We can hear sound variations via the creation - mysterious Latino vibes with continental tango hints, weird electronic movements, Catherine's quirky voices along with heavy, dull, and hollow percussion, complicated drumming not harmonized with saxophone sounds, squeezed atmospheric ambiance - almost all of 'hard to accept' experiments can be felt as Krautrock. Such an eccentric impression should come upon to the audience even only through the first track "A Modern Lesson". Like an expensive wine flooded with luxurious complex aftertaste, this album might be created enthusiastically and cynically enough with strong intention of the creators, I guess. Sounds like authentic avantgarde progressive rock but the fact should make the creation more and more interesting and innovative. 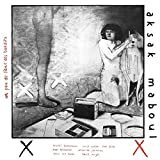 Post a review of AKSAK MABOUL "Un Peu De L'Âme Des Bandits"